It’s hard to believe that May is already coming to an end. Fishing in northern Michigan has been spectacular this month, and things looks great leading in to June. 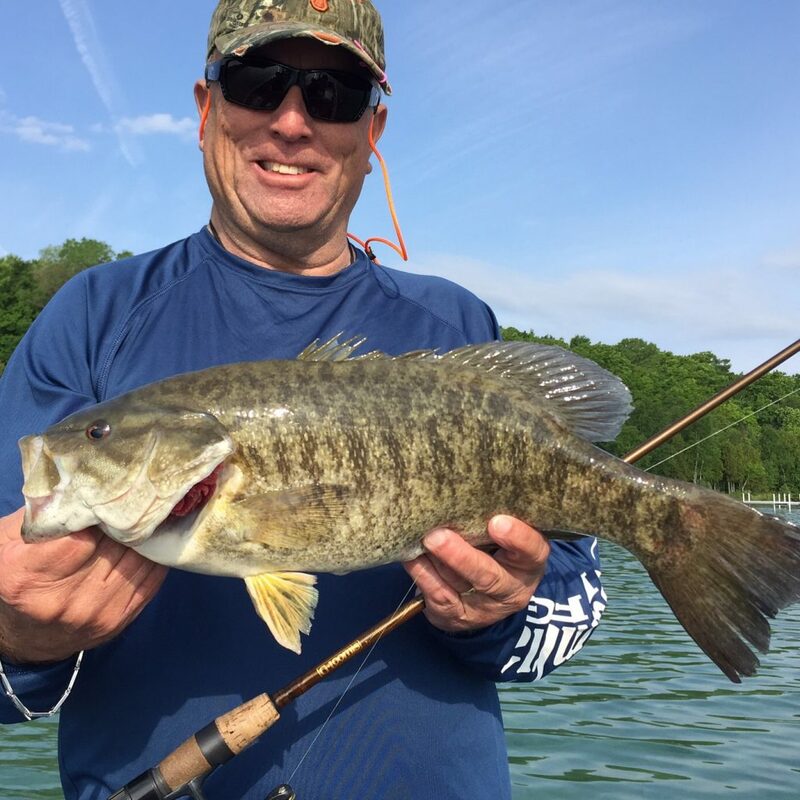 The weather has created many of the good fishing opportunities in the area – we have had some warmer days and colder nights, building a gradual increase in lake temperatures. This is exactly what we wanted for our area! 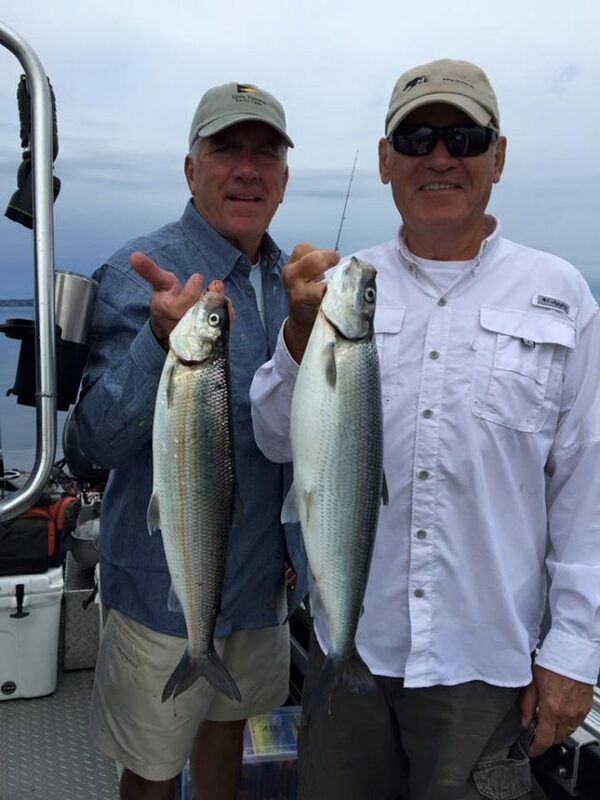 Grand Traverse Bay has been incredible for cisco, trout, and whitefish in 25-60 feet of water. If you haven’t yet gone fishing for these species this year, you should! 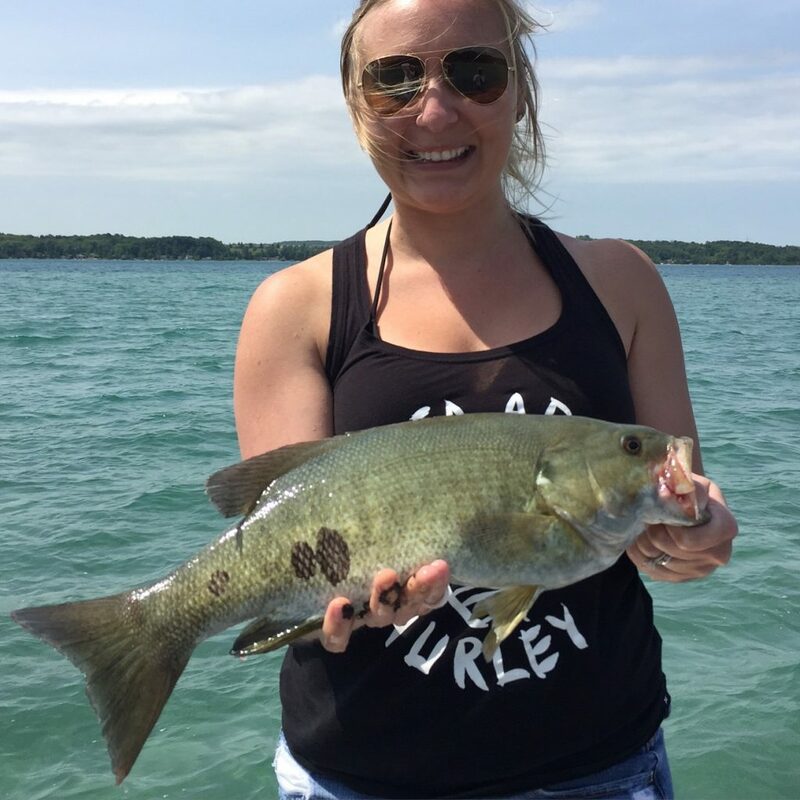 We are having great results casting gold-colored blade baits in a 3/4 ounce size along the steep breaks of East Grand Traverse Bay. Water temperatures in the bay have been bouncing back and forth between the mid- to low-40s. This is an optimal temperature zone for lake trout and cisco to cruise the shallows in search of alewife and gobies. Salmon fishing has also been fairly decent in Grand Traverse Bay. Anglers are finding active fish in 50-100 feet of water, high in the water column. Trolling lead core and slide divers with spoon presentations has been a productive technique. Trolling smaller spoon presentations at a speed of 2.4-2.7 mph is a good way to target the multiple available species available. 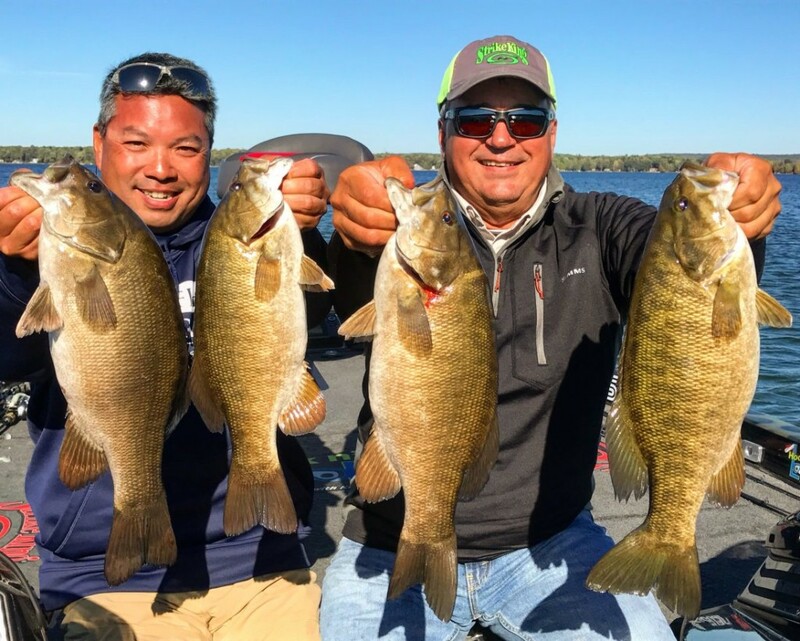 Bass fishing on most northern inland lakes is on fire! Due to the way water temperatures are setting up, the prospect of a longer spawning season is very good. Smaller inland lakes are maintaining temps in the mid- to upper-50s, with some even reaching into the low-60s. The last full moon brought a good push of males in to make beds, and females searching for the right spot to settle on for spawning. A lot of fish are being caught on the shallow flats adjacent to spawning grounds, and fish are very active both in and around beds. The larger inland lakes are still in an excellent pre-spawn condition with larger fish being found on weed- and rock-covered flats and drop-offs. Swim baits on darter jigs, drop shot rigs, and tubes have been working very well, but don’t hesitate to try covering some water with a spinner bait when the water presents the right opportunity. 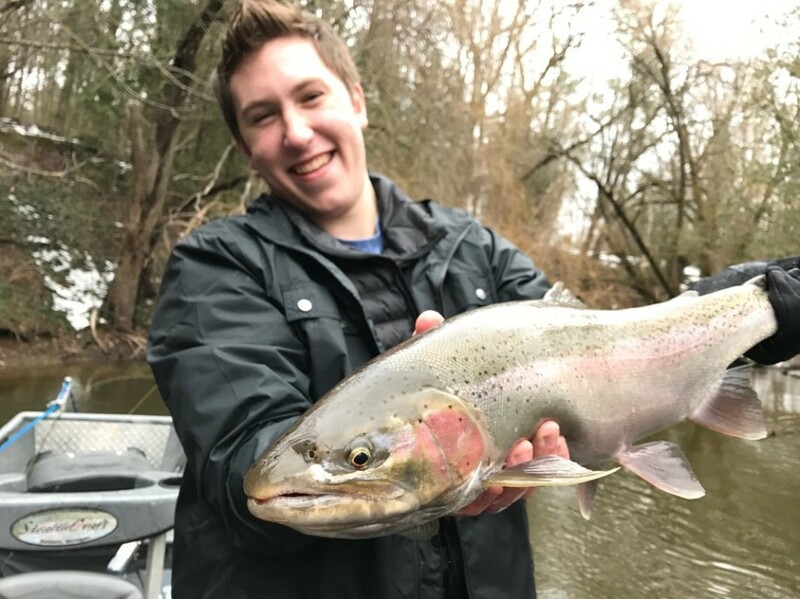 Get out and enjoy the awesome fishing Michigan offers, it will not disappoint!